There's a new kid on the fitness block – new boutique studio Flykick fuses HIIT with kickboxing-inspired training to deliver a truly unique workout. 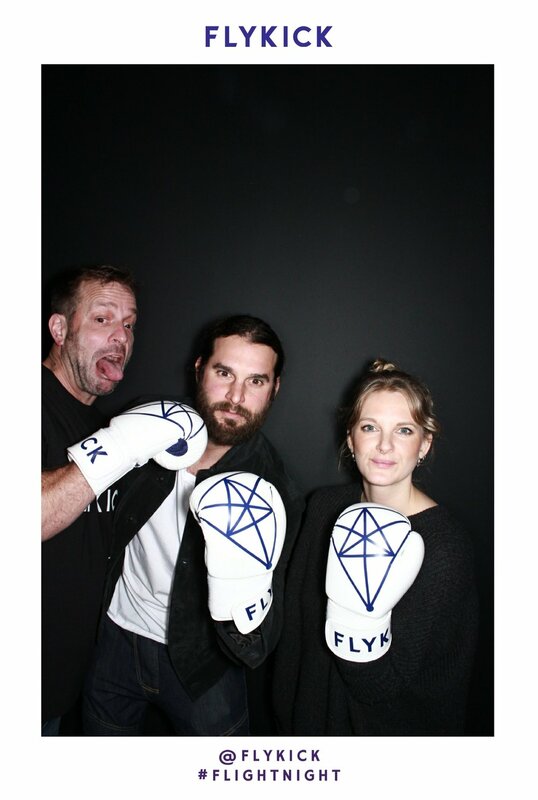 A perfect kickstart to the new season, in March we rubbed shoulders with social media influencers, members of press and fitness professionals at the launch event of the new Flykick studio on Euston Road. 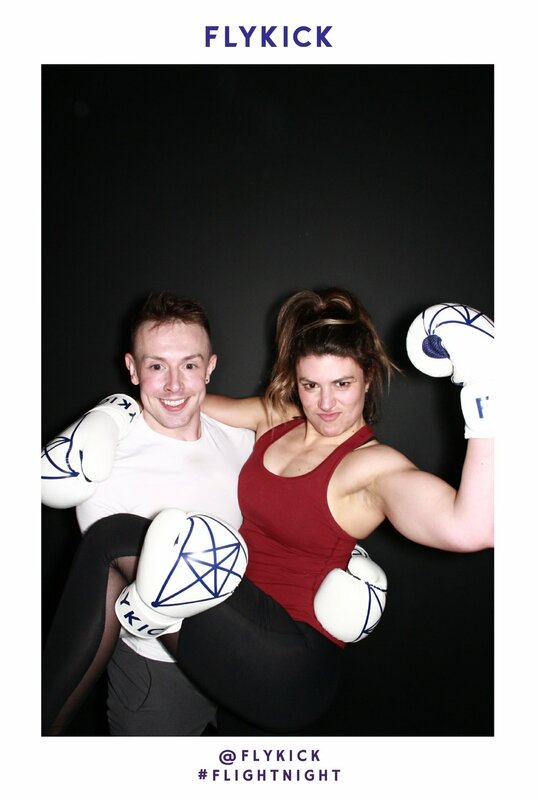 On the night, two taster classes ran in the studio, offering guests the chance to trial the workout led by a coaching team that included professional kickboxers. Plenty of mingling went on in the communal spaces involving Prosecco, vodka and charcoal lemonade (you’ve got to try it!) and super tasty finger food provided by Po-ten-cy – what else could you want after a gruelling workout? From us, Flykick requested a station for their guests to take fun pictures to capture memories of the night, post on social media and lighten the mood. So, to create a social buzz they incorporated the use of the Obscura with a competition for guests to enter via Instagram. Using the @Flykick handle and #FlightNight hashtag, the guests had the chance to win 10 free classes by submitting their favourite photos. Take a look at the winning photo and the top contenders from the night. Keen to try Flykick out for yourself? To check out their offers, view the timetable or book a class, click here. Newer PostPimm's No.6 Vodka Cup Launch Party!